With distinction for excellence and safety, the Volvo Car Corporation is a manufacturer ruler. Volvo was founded in Gothenburg Sweden, where the first car was constructed in 1927. 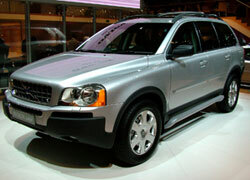 Ford Motor Company bought the Volvo Car Corporation in 1999. Currently, Volvo cars represent a high level of safety and one of the top reliability ratings in the industry. The typical Volvo life span is second after Mercedes. However, in order to maintain the life of your Volvo, it is important to receive regular “check ups” and fix any minor repairs that may be needed. Santa Rosa Transmission and Car Care concentrates on servicing Volvo vehicles. Our technicians are ASE certified and our shop is Napa Auto Care and California State Automobile Association (AAA) approved, so you know your Volvo is in good hands at Santa Rosa Transmission and Car Care.